Real Madrid 1-2 Atletico | The 3rd Derby between the two sides already this season recording an important win for Rojiblancos and a dramatic fail for Real Madrid in their second consecutive game with only 3 points out of 9 conceding 6 goals in two matches. 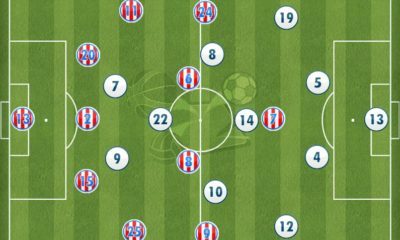 Every time Real Madrid faces Atletico we’ve seen some characteristic features that both coaches deployed in the match in order to exploit the weakness of the other. 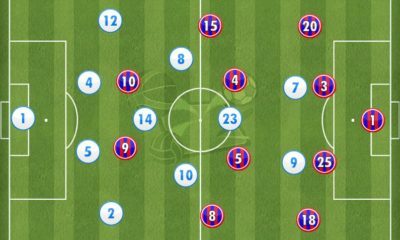 Simeone is always trying to make the field very narrow so that none of Real players have much time on the ball whilst Ancelotti responded in attacking from the wings depending highly on fullbacks for stretching Atletico’s narrowness. Instead he chose to play Ronaldo as the right winger with Gareth Bale in the same side providing overload with Benzema putting himself in a left-ish zone at the centre of the attack. This had an instant effect as that made it 1 vs 1 for Ronaldo on many occasions who then won the penalty in the first half, converting it himself. Gareth Bale overloading the same area was a measure to compensate what Arbeloa wasn’t able to, with the 31-year-old playing more like a conservative right full-back. James Rodriguez would drift wide slightly, combining with Coentrao on the left wing. However , they weren’t static in those positions as they were always exchanging their places fluidly which made them the better side in the closing minutes of the first half. Ancelotti’s decision to shift Ronaldo to the right won them the penalty, with the Portuguese superstar also setting up Benzema for the glorious opportunity he wasted. The match started in the way it was expected. Atletico Madrid defending deep in two layers of four with two players in front of them pressing Real midfielders, with the home side, as always, taking the possession and being forced into passing from deeper areas, which explains why Ramos was the highest passer in the game with 77 successful out of 95. On the other hand, The right wing is always the strongest for Atletico Madrid which has been instrumental for creating their forward moves. But the reason behind that is the mutual understanding between Juanfran and Koke and how they could easily bypass the defense on many occasions. Therefore, it wasn’t a coincidence that the second goal for Simeone’s men came from the right wing and unsurprisingly from Juanfran’s assist who was venturing down this side the whole 90 minutes. 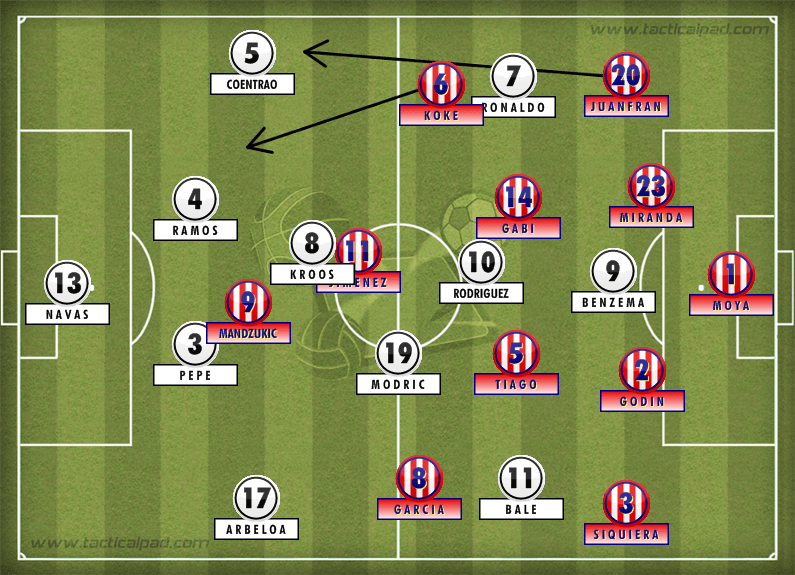 It was the usual pattern because this has been the case for a lot of Real – Atletico clashes. 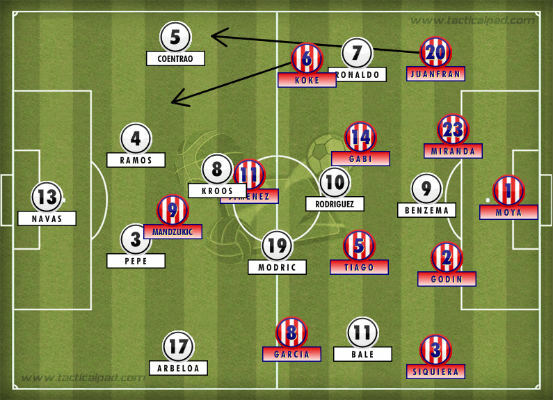 Atletico press, Real play it from deep, Atletico utilise the right side in attack. It’s easy to forget just how difficult it is to execute what Atletico Madrid try to perform; it isn’t as simple as sitting deep and soaking in the pressure. A lot of organisation & focus goes into effectively employing these tactics, it’s stunning just how well they manage to pull it off. What’s more staggering is how similar Atletico’s approach is to such games; there’s often very little change in the basic system which just goes to show the effectiveness of the approach. Often, an analysis of their’s over multiple games can become redundant; identical displays ensue. The changes Ancelotti made were crucial in giving Real the ascendency in the game considering that he made them after his side were 1-0 down already, but overloading so many players in one area could easily exploit the other. This is not particularly problematic if a strong holding player can help his fullback in covering the area, but Toni Kroos was the one who had been used in that position and seemed to be rather uncomfortable in battling the physically potent Atletico Madrid players. The other concern for los Blancos fans is the midfield trio, last year we’ve been used to seeing a midfield trio of Di Maria (dribbler) , Xabi Alonso (destroyer) and Modric (creator). This is the ideal trio in a 4-3-3 formation as it gives Ancelotti side a great variation in the middle so that Di Maria could join in attack easily as he is very comfortable of putting himself inside the opposition box, with constant runs in. The destroyer (Xabi Alonso) was sitting in front of his defense covering the midfield area having the physical and technical qualities of playing the role and making regular tackles and interceptions, allowing Modric to concentrate more in creating. It was the perfect set-up. However , with the departure of both (dribbler and the destroyer) they were replaced with Kroos (box to box player) and James (creator) resulting in Real Madrid now playing with two creators and one dribbler. It was a like-for-like change only in terms of positions deployed, but the attributes of the players are far more contrasting. Therefore, losing two consecutive matches wasn’t a big surprise for me because inserting a player in a position that he isn’t used to, needs a lot of time to understand successfully, and effectively execute. Understanding how crucial covering for the fullbacks seems to be a real dilemma for Kroos, clearly evident against Atletico, and something he needs to improve on. Achieving that ideal combination of the midfield trio seems to be a serious issues at the moment with the newcomers still learning to adapt themselves to the shape could cost Ancelotti many points in both the league and Europe. Where does this leave them ? Atletico Madrid have had a good start now with 7 points out of 9 in the same shape and structure of the team that won the title last season with just little modifications and arrangement. Real Madrid however, desperately are suffering both in terms of table position and in finding the suitable line up and with that issue in mind changing players mentality possibly could be the answer if necessary. 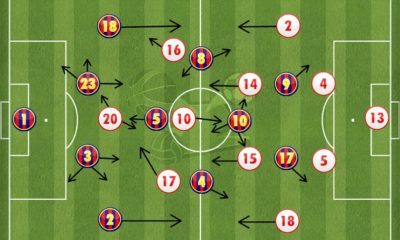 Read all our Tactical Analysis articles here. Faisal is 23 years old, a tactical analyzer interested in football tactics influenced by Michael Cox. He's a Romanista & Madridista, but has an affinity to premier league matches as well.